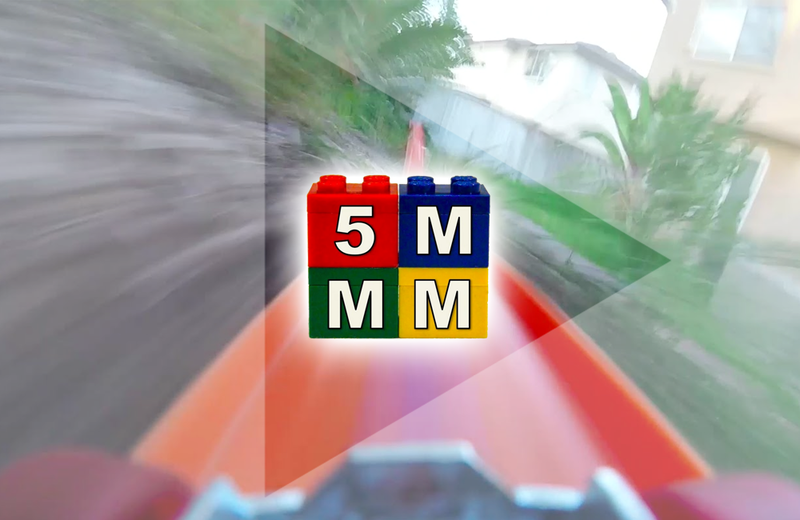 The 5MadMovieMakers YouTube channel showcases short videos of inventive toy car- and rail-tracks. The featured race and railway courses are built using LEGO, marbles, toy cars, and the occasional household object. 5MadMovieMakers have shared their creations on YouTube since 2010, allowing viewers to participate in the joy (and sometimes heartbreak) of creating toy tracks that zoom through backyards, beaches, and everywhere in between. From straightforward set-ups to complex configurations full of twists, turns, and ambitious loops, the videos are a joyride. Each one evokes the childhood thrill of building the perfect track and the anticipation that accompanies the pursuit. The filmmakers use close-up shots and driver’s-eye view camera angles to magnify the excitement of the ride. 5MadMovieMakers is a fun, family-friendly channel. It brings back memories of hours spent painstakingly assembling, testing, and reconfiguring race tracks for maximum thrills. Game Trade Magazine (GTM) serves as a go-to resource for game reviews, exclusive sneak-peeks, giveaways, and information about upcoming releases. 100 Classic Toys is a colorful look at toys that have captivated generation after generation of children.